At Oakland Park Animal Hospital, pet emergency care is one of the many specialized services offered by our Oakland Park vet. If your pet experiences a medical emergency, whether it be during or after our regular office hours, our emergency veterinarian is here to assist you! We hope your pet will never experience an emergency, but if he or she does, we want to make sure you know the proper steps to take. Below are answers to some of the most commonly asked questions we receive about pet emergencies. If you have additional non-urgent questions, remember that you can always give our office a call to speak with our friendly and knowledgeable staff. What are the most common dog and cat emergencies? There are many dog and cat injuries that our emergency veterinarian, unfortunately, sees on a regular basis. Some of these include accidental ingestion of poisons/toxins, injuries sustained from being hit by a car, and injuries (cuts, lacerations, etc.) from encounters with other animals. Is it safe to approach an injured animal? It is important to understand that injured animals often go into "fight or flight" mode and may become aggressive as a means of self-defense. This is true even in household pets who are normally well tempered. With this in mind, it is generally not advised that you attempt to handle an injured animal that you don't know. When dealing with your own injured pet, approach with caution and try to handle your pet as little as possible. Can I treat a sick or injured pet myself? It is never advised to attempt treating a seriously injured or sick pet yourself. Often times, these attempts at treatment will cause more harm than good to an animal in distress. Instead, it is advised that you seek emergency care with a specialized veterinary team so the pet has the best chance at successful treatment and recovery. 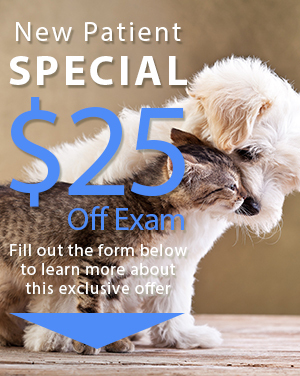 Contact Oakland Park Animal Hospital Today! If a pet displays any of these symptoms, it's important to see an emergency veterinarian right away. 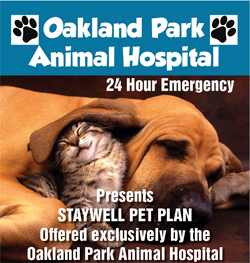 If you have additional questions about pet emergency care, feel free to contact our Oakland Park Animal Hospital team today at (954) 731-4228.